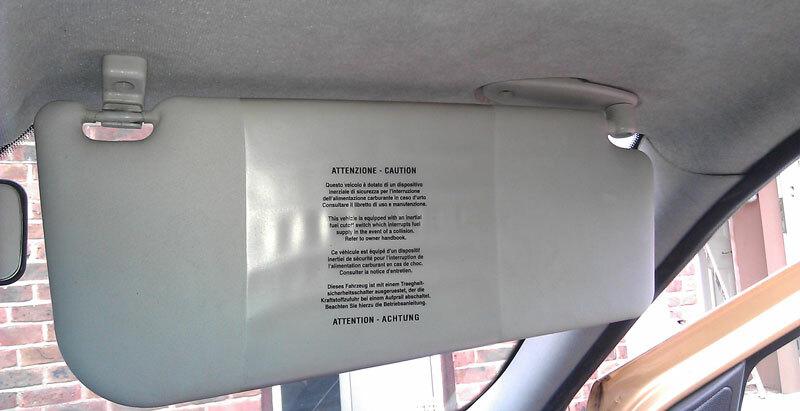 If the spring inside the sun visor goes limp, the visor won't stay up against the roof when you need it to stay out of the way. It also becomes hard to position the visor to keep the sun out of your eyes as it just flops straight down. Thankfully, replacing the visor is an easy job, so don't put up with it being annoying and flopping about, get a new one off eBay and get fixing. We're going to unscrew the clip and hinge holding the current visor on, and fit the new one. The screws holding the sun visor in place are Torx type, rather than the more normal Philips (cross head) or flat type. 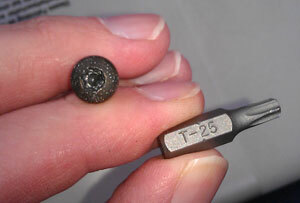 My drill bit set had some in it, you might need to borrow or buy a multi-set with Torx tips in it. They are size 25 heads. 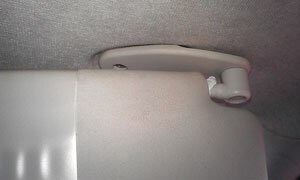 The clip which holds the end of the sun visor in place was broken on our car, so yours may look different to this picture. It just unscrews and the clip will drop off. If your clip isn't broken you could leave it in place, but they do eventually wear out so if you've got a brand new clip, it's worth taking the couple of minutes it takes to replace it while you're here. You can screw the new clip straight on. If you've forgotten, the clip part goes closest to the windscreen. 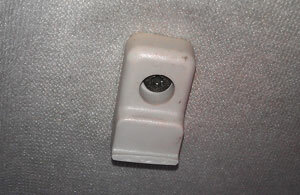 The hinged end is also only held in with one screw, you need to rotate the visor in to the car so you can get to the screw. When the screw is out you need to slide the visor sideways as it has a hidden clip which holds it on to the roof of the car. If the headlining material has come loose when you took the old visor off, tuck it back around the hole before you slide the new one in to place. 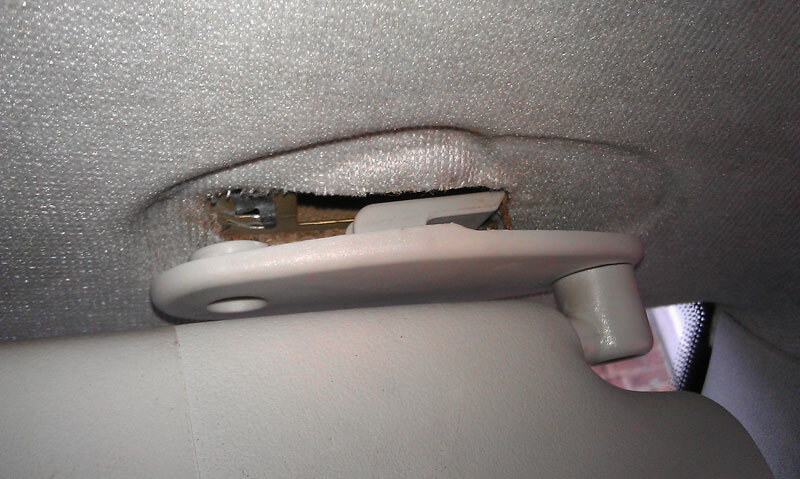 The clip might be a bit fiddly but try not to get annoyed with it as you can tear the headlining and that's a much bigger job to fix. And that's it. 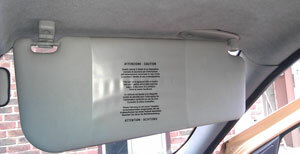 New, non-floppy sun visor all ready to go. Not having the visor randomly dropping in to view while driving along was great.